Successfully Added Smart Wi-Fi Camera Doorbell - Wi-Fi, Android and iOS Apps, Motion Detection, Night Vision, Remote Control (Silver) to your Shopping Cart. Make your home smart by adding a simple accessory that can greatly improve your comfort level. With the smart doorbell, you will not only know that there is someone at the door, but will also be able to see them, talk to them and more. The Smart Camera Doorbell is the perfect protector for your home or office. It will not only let you know when you have visitors, but will also let you seem them and talk to them without getting off the couch. Connect it to an electronic lock, and you will also be able to open the door and let people in remotely. 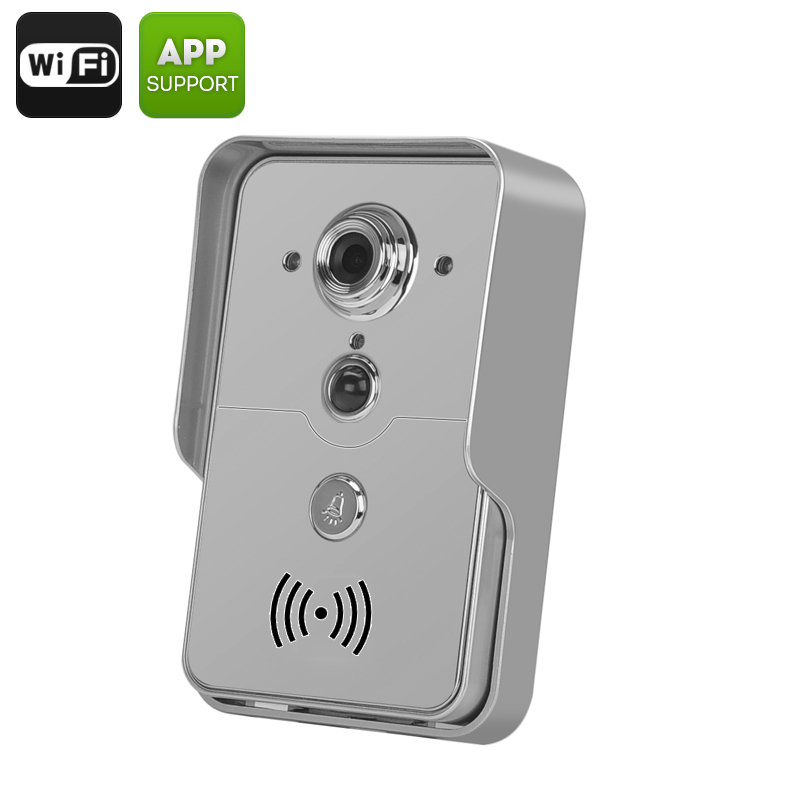 The smart doorbell comes with IR night vision for up to 3 metres and motion detection. These features offer enhanced security, letting you see your visitors clearly even after dark and always be aware when there is someone at your door. Thanks to the 1/4 CMOS Sensor, you will also be able to snap clear pics of your visitors, should you have any suspicions. The doorbell and intercom comes with two-way audio communication, letting you talk to your guests at any time. With free apps for Android and iOS operating systems, you will be in total control of your home security without heavy installations or excessive spending. The Smart Camera Doorbell comes with a 12 months warranty, brought to you by the leader in electronic devices as well as wholesale smart doorbells.